Happy New Year!! 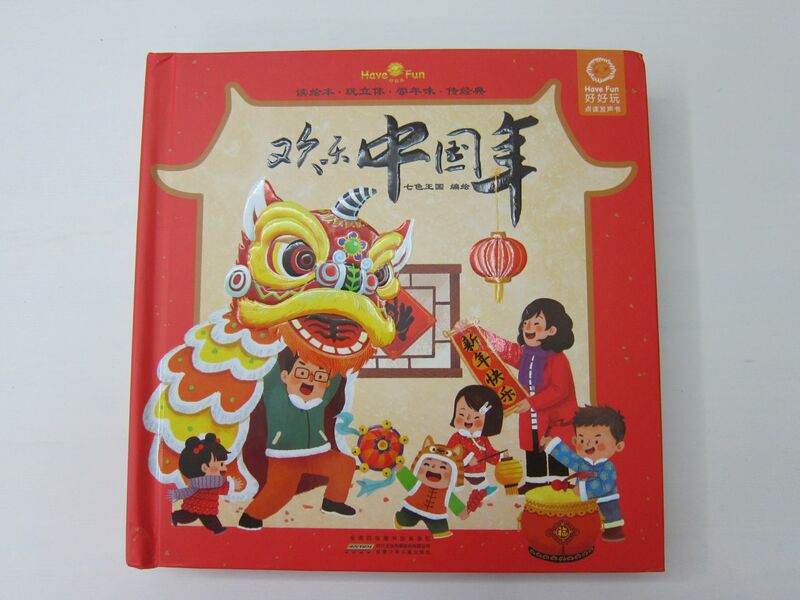 Today, February 5th, is the first day of the year according to the lunar calendar. It’s also the year of the Pig and if you were born in 1947, 1959, 1971, 1983 or 2007 that means you are Pig! (Well, double check if you were born in January or February as your horoscope sign will depend on which day the lunar calendar started on that year). If you are Pig, be careful this year as you are prone to bad luck! To avoid it, you have to wear something red all the time. C. is Pig and is already wearing a red bracelet (and his boss gifted him several pairs of red socks!). Whatever your animal is, you can read your predictions for this year here! 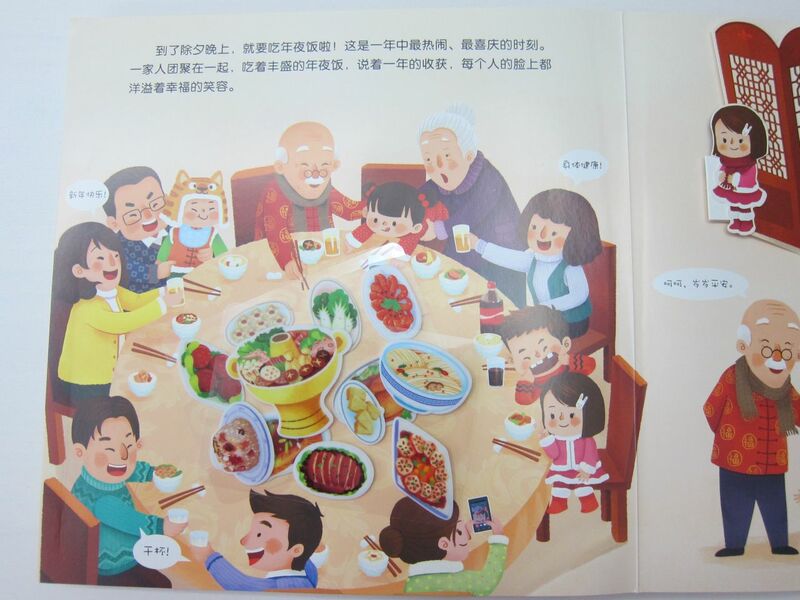 As this is the first time I’m going to spend the holiday in Suzhou and I didn’t really know the traditions in depth, I prepared myself by reading an awesome pop-up book I bought a couple of months ago. It has many tabs that can be opened to reveal some detail or additional explanation. 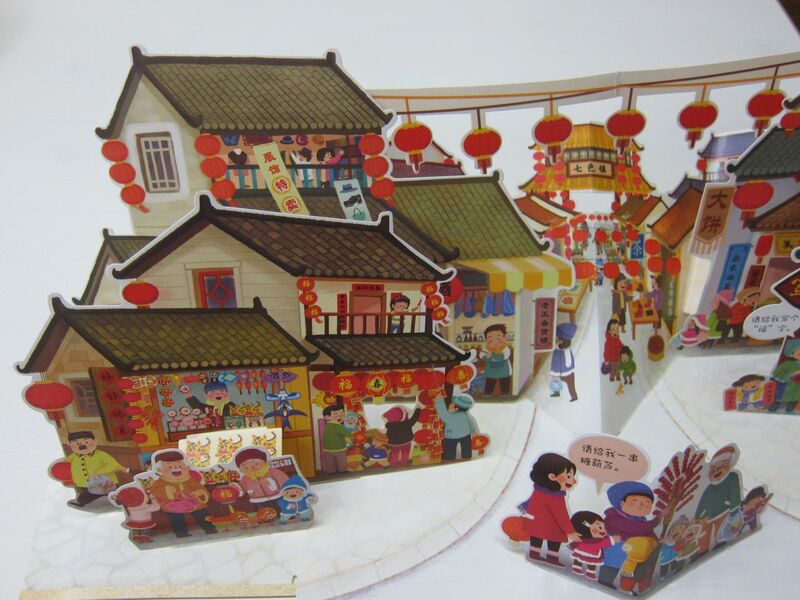 There are also some extra things inside: a DIY paper lantern, two good luck characters to paste on the windows and a diorama to put on the shelf. The legend of the Nian monster. A street decorated for the holiday. Family dinner! The dishes are stickers that you can put and remove! I hope this week the weather is not too bad and we can go see the temple fair! 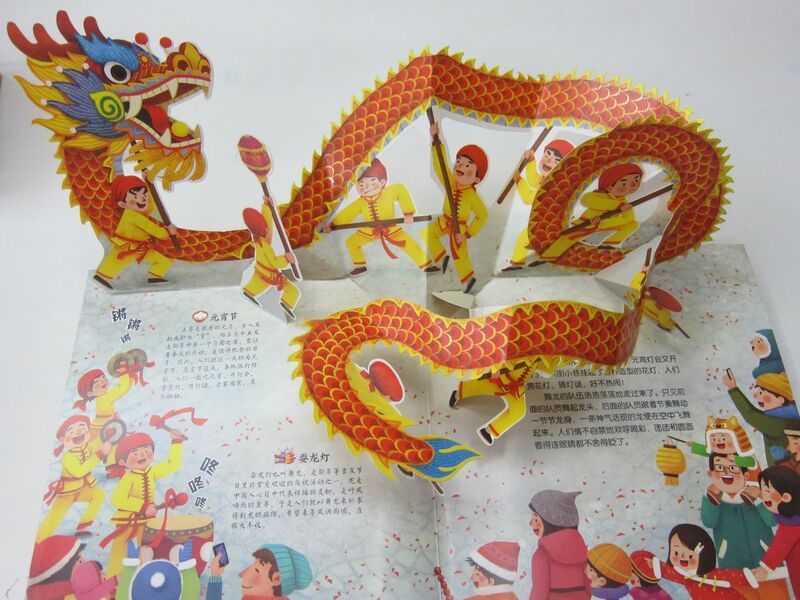 Thanks for sharing the pop-up book! Happy New Year! I never had pop up books before but my baby loves them so now I need to get more, ha ha. of how they are planned and created. Thanks! Yes! This one has some impressive designs! The dragon is amazing! I love this book! Is it available to purchase in the U.S.? Oh, no idea! I bought it online in a Chinese website called dang dang and it is also on the Chinese Amazon, not sure about the American one. The title is 欢乐中国年, you can try to look for it. What a cute book! Happy New Year. I hope it will be a wonderful year for you and C. and the baby. Thanks a lot, Nicki! Happy new year to you too! Happy Chinese Year of the Pig Marta. 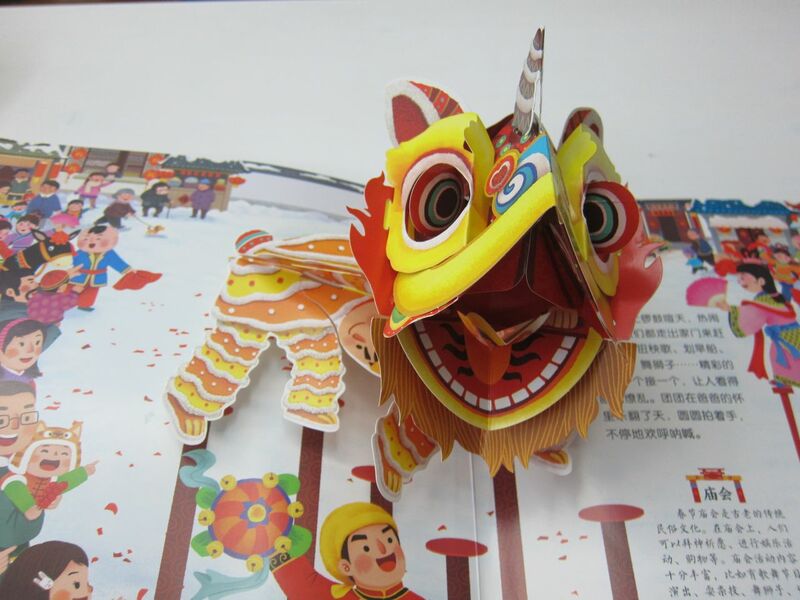 I absolutely love that pop up book it’s gorgeous. Here the first day of the year was pretty good, now it’s quite cold, it snowed last night and it seems it will snow tonight again! 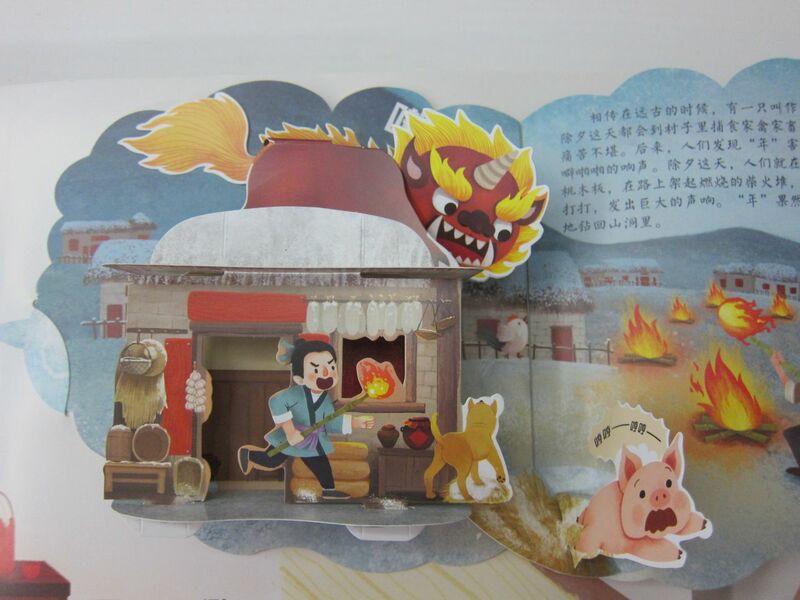 That’s a pretty cool pop-up book.